Converting audio files to mp3 is relatively easy. While some websites offer conversion services, it's actually something anyone can do on their own computer. If you have an audio file of any extension—wav, mp4, or even flac—you can modify the file to support an mp3 extension. In this guide, I've listed two methods for converting the mp3. The program you choose may depend on your OS or even personal preference. Audacity is free to use audio manipulation software. 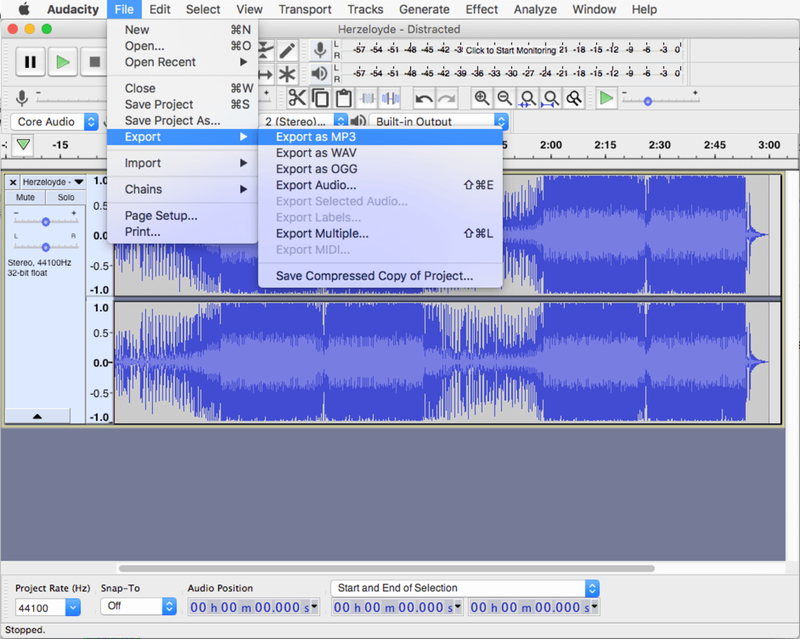 You can record, edit, and splice audio tracks using its basic user interface. One of the coolest features of Audacity is the file conversion capability. 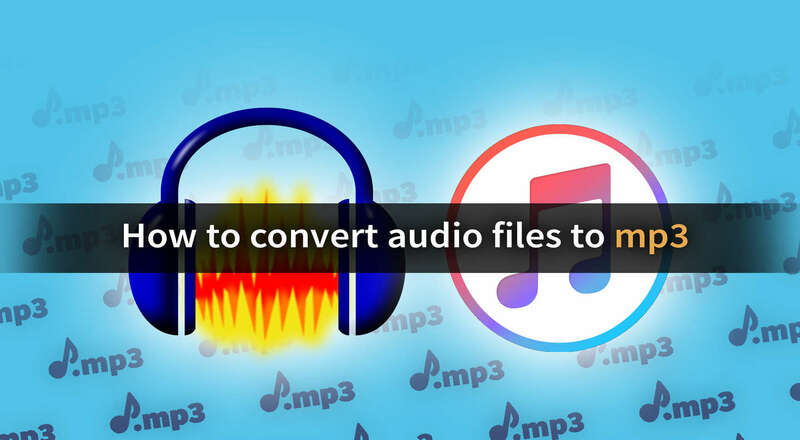 Import the audio file you need to convert. Save the file with a unique name to a location of your choosing. Audacity can also video files in .mp4 format, which is perfect if you're looking to extract and manipulate the audio from it. For more information on this process, visit the audacity support page here. iTunes users rejoice! 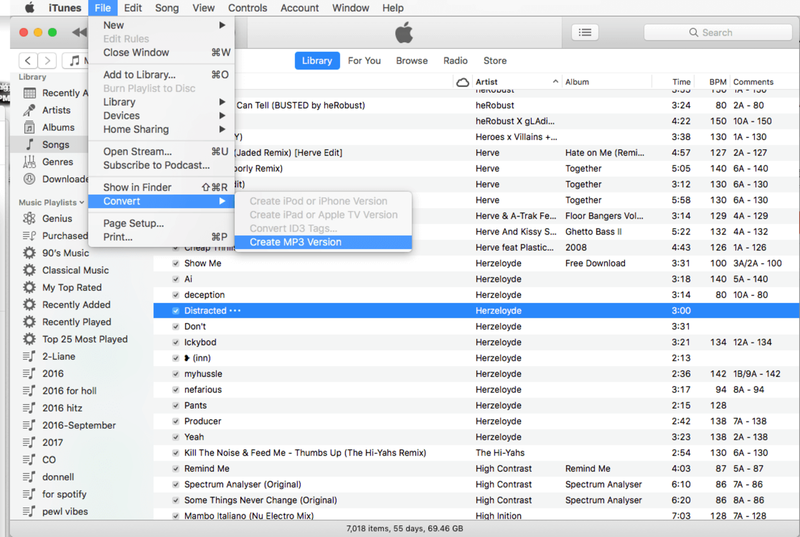 You can convert any audio file you need within iTunes, as well. Import the audio file or choose one from your library. Note: Some versions of iTunes may give the option to convert to MP3 by simply right clicking on the file in your iTunes library. For more information on the iTunes file conversion process, visit the Apple support website here. Ash is an experienced tech writer with an endless passion for technology. She enjoys retro gaming, 3D printing, and making awesome projects on the Raspberry Pi. Remember your chords - the easy way! If you know anything about music, you might have definitely heard about chords. Major, minor, augmented... sounds familiar? The stock pleather headphones that come on Sony's MDR-7506 and MDR-V6 headphones are uncomfortable and wear out really quickly. This guide will show you how to restring most acoustic guitars. Some acoustic guitars are built slightly differently but overall these principles can be applied.